Is Ready 2 Rumble Revolution capable of getting this brawl started? Not all games are meant to be great, nor are they supposed to be blockbuster hits in terms of sales. 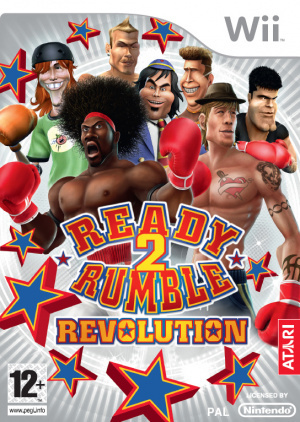 With Ready 2 Rumble Revolution, it's obviously that the developers had high hopes - this is, after all, a sequel to one of the best-selling Sega Dreamcast games - but by toying with the interface they've turned it into a complete disaster. The game had a lot of potential right from start, but when Aki Corporation started experimenting with the game’s controls, they ultimately created one heck of a mess. One of the challenges that many developers face when creating a game designed exclusively for Wii is whether to implement motion controls. Some developers don’t bother to add motion controls to their titles because they’re afraid that it’ll only ruin the experience. On the other hand though, other developers just tack on motion controls for no other reason that it's currently 'fashionable' and the notion of swinging your arms around like a fool seems to hold endless appeal to non-gamers. 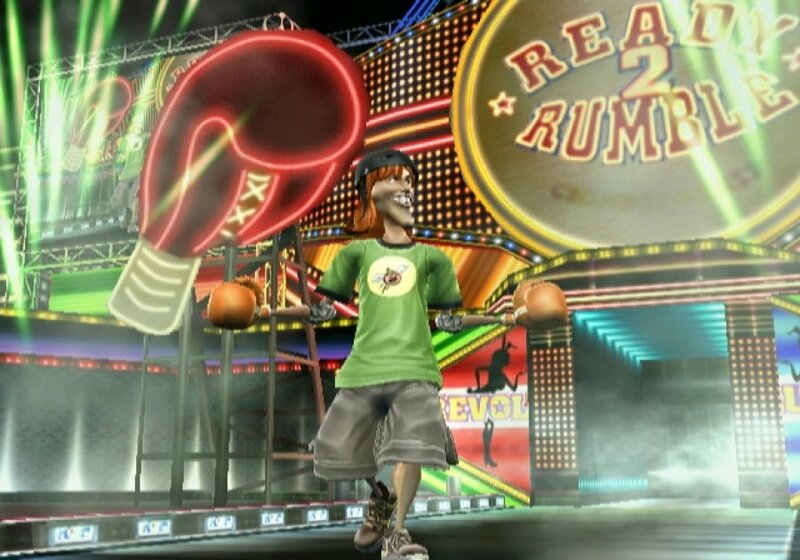 The path that Aki Corporation took with Ready 2 Rumble Revolution was the latter, and trust us, they've succeeded in creating a rather painful experience. Ready 2 Rumble Revolution, like many other Wii games, goes overboard when it comes to motion controls. 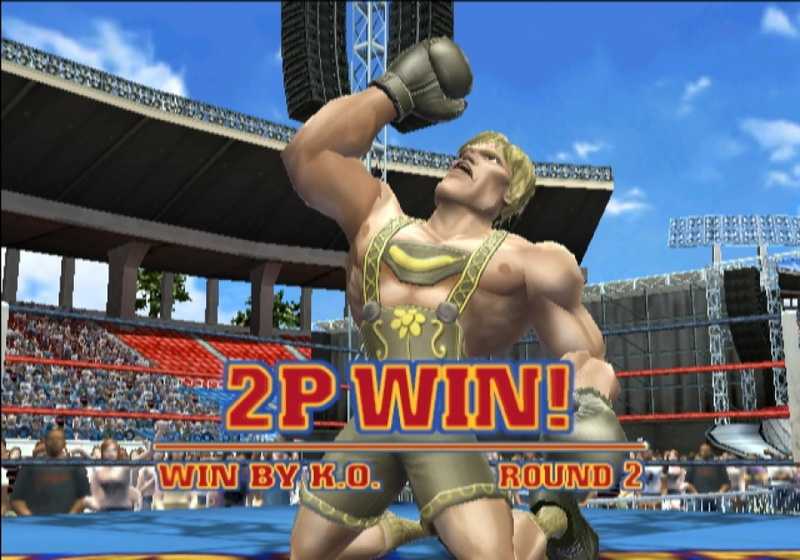 The game attempts to use all sorts of Wii waggle for its attacks, but ultimately, the game fails at doing so. Basically the main conflict is that the motion controls aren’t nearly as precise as they should be for a game of this nature. By using a more traditional control scheme, the game certainly would’ve been miles better than it is in its current state. Throwing simple jabs may only require a simple left or right handed punch, but the more complex and powerful moves aren’t that easy to execute. Simply put, the power moves, roundhouses, and uppercuts rely too heavily on thrust direction, and in a couple of cases, require two thrusts instead of just one. Using the Wii Remote and Nunchuk is certainly a great idea for a boxing where each part of the controller can control a hand, but when you have to swing the controller in various directions just to throw a single punch, the flow of the match is destroyed. If that weren’t enough, the Wii Remote is simply not precise enough to recognize all of the more complex motion controls. Gamers may sometimes find themselves throwing punches only to find that the controller won’t recognize all your punches - or should I say pathetic waggle motions? If the developers were smart enough, they should've delayed the game until the release of Wii Motion Plus later this year. Looking past the pitiful controls though, you can easily see a great game. For starters, the game features a wide variety of offensive and defensive moves and the ability to block, duck, and counter is certainly a welcome addition. There is a little bit of strategy in the game because you always have to try and predict your opponent’s next move. By not doing so, your character could possibly receive a hefty amount of damage. 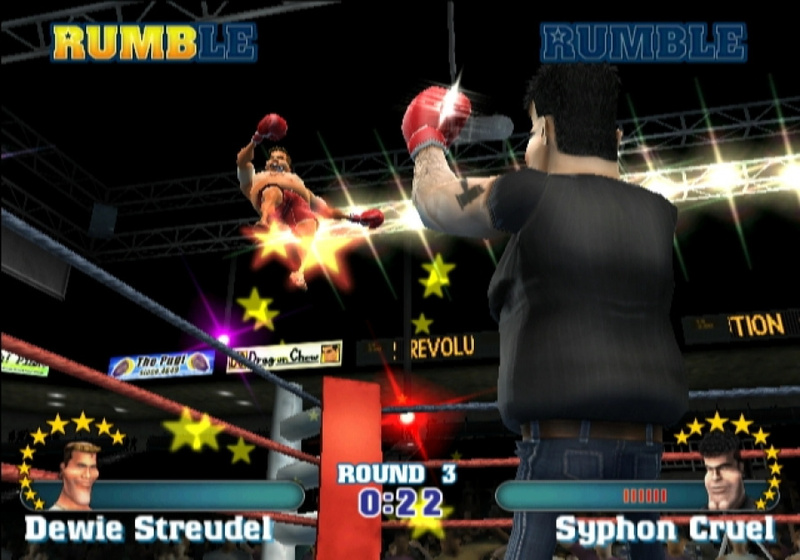 From a visual perspective, Ready 2 Rumble Revolution is one of the more decent looking Wii games. Character models are fairly good for the most part and the backgrounds are also nice. The game runs at a smooth FPS, which is definitely a plus for this type of game. Another neat little addition is a tutorial that provides players with a step-by-step guide that explains the game’s controls, allowing beginners to learn the moves before they take on more difficult characters. At the same time though, the enemies just stand there waiting for you to throw a punch. It’s a little disappointing to see that the enemies don’t move in the tutorial because it gives players a false sense of success. When they actually dive into a ‘real’ match, they’ll quickly discover that the first match was only child’s play. 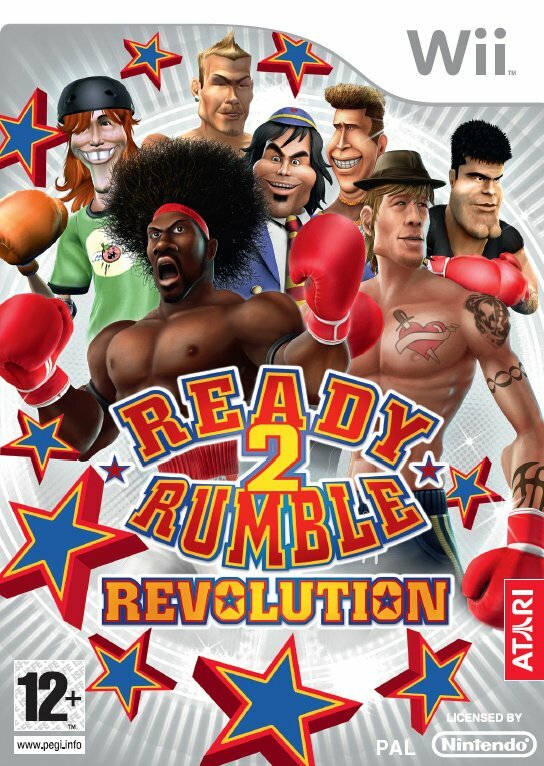 Ready 2 Rumble Revolution is literally a hit-and-miss. The game’s controls aren’t nearly as precise as they need to be and the motion controls are sometimes a little too complicated. Looking past the controls though, Ready 2 Revolution is certainly a fairly decent game. The game runs smoothly and the wide array of moves is certainly a welcome addition. When everything is said and done though, the controls destroy all this good work and the end result is a piece of software that simply doesn't entertain. Stick with the Dreamcast version! I'm really disappointed in this one; mainly because the IGN hands-on seemed to imply that they were doing intelligent stuff with the controls: using button chording with motion as opposed to Wii Sports Boxing where you have to punch at the ground to do a body shot. They really should have supported the Classic Controller and worked to the strengths of the motion controls; combining button presses or stick direction to pull off uppercuts and head shots, but still using a basic forward motion would have worked great; I don't understand how they could mess that up. @Sean Aaron: Didn't you hear? IGN are always wrong when it comes to video games. Oh, and one question: is David Hasselhoff actually in this game? Yeah I had heard that about IGN. I even checked the hands-on against the negative review and it was the same person who did both. I guess they feel it's nice to be charitable in a hands-on, but this is a case where they should have taken a harder line to get the devs to rethink what they were doing. Oh, and yes, there does appear to be a Hasselhoff character, though I cannot remember his name. He's grossly out of shape and well, gross to look at! IGN have to be taken with a pinch of salt sometimes. I have agreed with some of their reviews to be fair, but too many are just barmy. There's some kind of flaw on that website imho. Anyway, Punch Out! it is then!